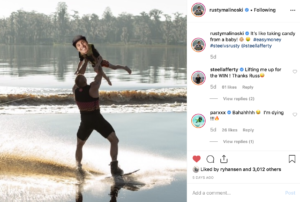 There has possibly never been a more exciting time to follow wakeboarding’s biggest personalities on Instagram. The hype is building as summer quickly approaches and things are getting heated in competitive wakeboarding. Just weeks after Bob Soven announced his return to competitive wakeboarding on Instagram and called out every other competitor one by one, Rusty Malinoski got on Instagram to challenge Steel Lafferty to a big air challenge. The two agreed to a $1,000 bet and have since doubled down, making it a $2,000 prize for whoever can go the biggest. These two absolutely send it to the moon and this is shaping up to be a battle for the ages. So many storylines to follow in this matchup: old versus young, Hyperlite versus Connelly and Canada versus USA. The friendly trash talking has been relentless as hype continues to build for this epic showdown. If you haven’t been following along, get on Instagram and check out all the shade the two have been throwing at each other since announcing this bet was made. Today Steel and Rusty announced that this fierce competition will be going down tomorrow morning. While we aren’t sure who will take home the money and bragging rights, we do know that every wakeboarder is keeping their fingers crossed that it is streamed live so we can all watch in awe. 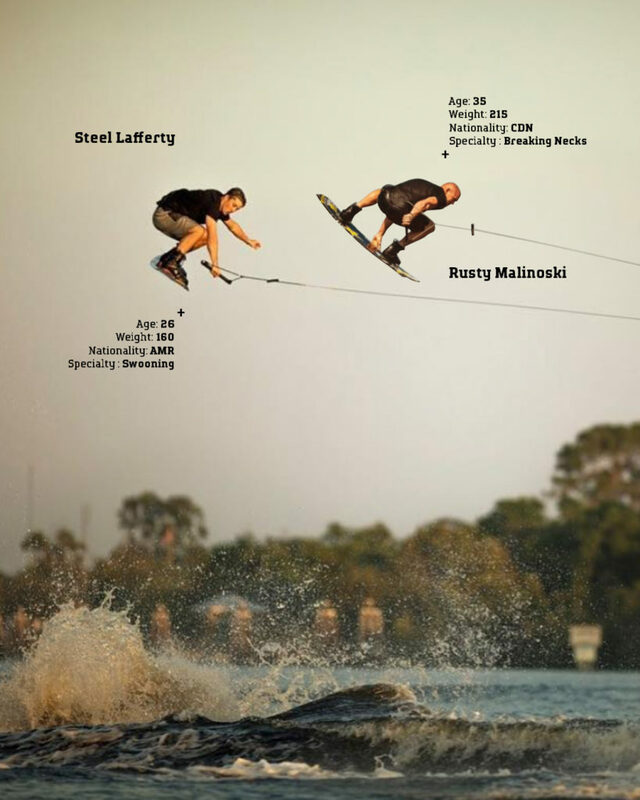 Make sure to follow Rusty, Steel, and Wakeboarding Mag so that you don’t miss any of the action. The event starts at seven am Pacific Time. They will be hitting double ups all day and going live periodically on their Instagram stories.